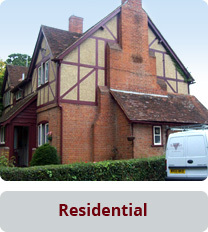 Bowdler offer a high-class painting, decorating and property maintenance service. We have a directly employed workforce and an administration team, operating mainly in Milton Keynes and the surrounding counties of Herts, Beds & Bucks. We undertake decorating projects of various sizes, from individual domestic rooms, to larger long term Partnering Contracts. Our company is structured to ensure attention is given to all our painting and decorating work with equal professionalism and commitment to our client’s satisfaction. Our policy to provide a first class painting and decorating service with high quality workmanship has formed the foundation of our company. We have a fleet of company sign written vehicles and uniformed dress code for our decorators' identification. All of our employees are fully qualified painters, decorators and tradesmen, experienced in carrying out work in sensitive environments. We are an approved painting contractor with Jotun Specialist Coatings and Partnering Contractor with Dulux ICI. We are registered with Construction Line the country’s largest register for qualified companies, certifying our ability and professional standing within our trade. We are an approved and award winning contractor with The Painting and Decorating Association certifying our suitability and high standard of work. Our tradesmen are trained in the use of cherry picker access equipment for projects with specific access requirements. Bowdler cover all aspects of painting and decorating for your home with the minimum disruption. Our work includes wallpapering, specialist painting and finishes for woodword, ceilings and walls. Also, advice on colour schemes and design. 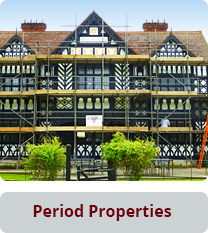 We specialise in carrying out projects to period properties and listed buildings, covering all aspects redecoration, carpentry and renovation work. 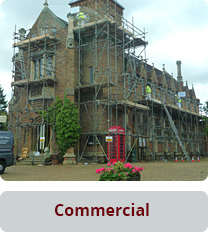 Our works includes projects for listed buildings, churches and stately homes. Our commercial work includes internal and external re-decoration, offering a complete service in the Milton Keynes area with minimum disruption to your business. 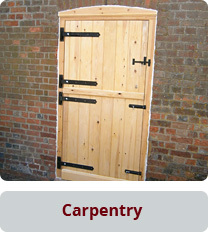 We are able to advise our clients on any carpentry repairs and replacements. Our carpenters offer window repair and replacement, door replacement, fascia boards, barge boards, decorative mouldings and much more!